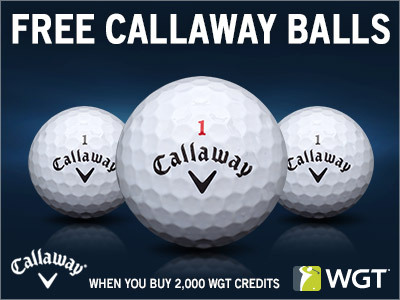 Right now, buy 2,000 or more WGT Credits and you'll get 3 free Callaway virtual golf balls. We're so close to the weekend, don't miss this special offer to get you there faster AND help improve your game. 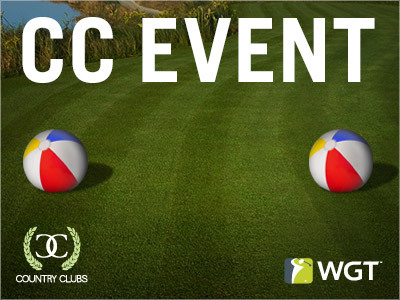 *Special offer for players who buy 2,000 or more WGT Credits now through Friday (6/30/17), receive 3 free Callaway Chrome Soft virtual golf balls (L33+). Check out what's new on WGT today, including new Cobra clubs and some brand new golf balls -- guaranteed to put a little extra spark in your game! 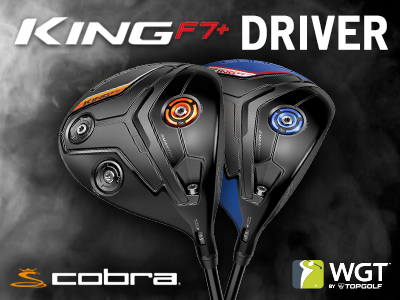 Add more distance and forgiveness to your drives with the new Cobra King F7 virtual driver. Available in black, gray and blue so you can choose the color that best matches your style. 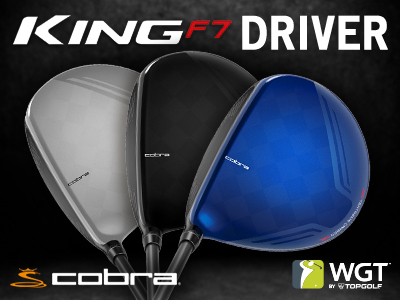 The new King F7+ virtual driver gives high-level players more distance, precision AND style, available in blue and black so you can choose which best suits your style. 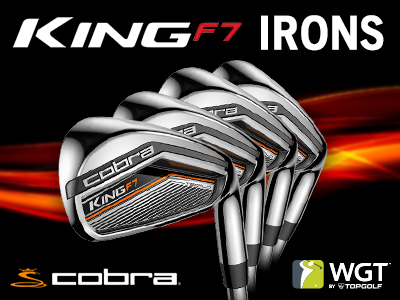 Hit longer and more accurately with the new Cobra King F7 virtual irons, now available in the WGT Pro Shop. Unlocks at Level 8 and Level 65. KABOOM! 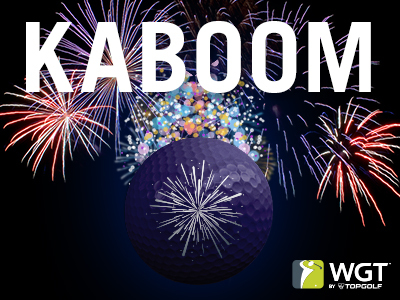 Get ready to light up the sky with our brand new Fireworks virtual golf ball. Featuring more distance, control and an exploding fireworks vapor trail, every shot will feel like a celebration. 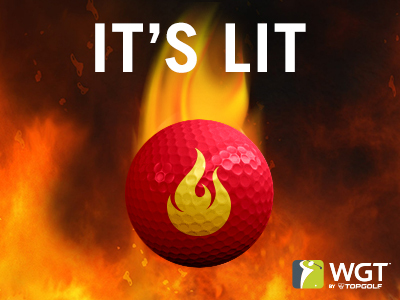 It's time to heat up the course and "burn" the competition with this all new Inferno virtual golf ball! With more distance, control and a flaming vapor trail, this is one fire ball you'll want to take a shot of. These are some of the most popular virtual golf balls in the game that normally aren't available to buy in the Pro Shop, but for a limited time they ARE! 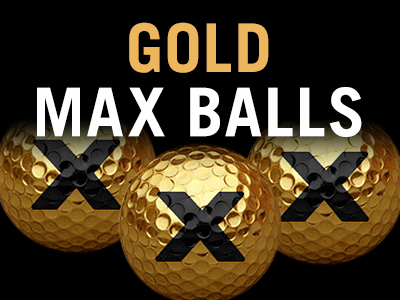 Slow down your WGT Swing Meter with these Gold MAX Balls, in a special gold color with matching gold vapor trail. We're celebrating 50, time to party! 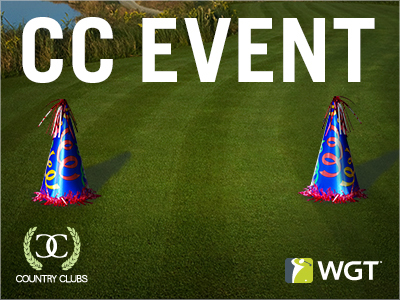 Join the celebration by playing WGT for these festive party hat tee markers and flags. CC Event #50 runs 6/22-6/23, with multiple 4-hour Clashes, so be sure to play as many games as you can for your club and keep your eyes on the leaderboard. Summer is just beginning and you know what that means... Fun in the sun and scoring your very own beach ball tee markers and flags! Compete in CC Event #49, going on now through Fri, 6/2 for your chance to win in-game rewards, including these beach ball tees and flags. CC Event #49 runs 6/1-6/2, with multiple 4-hour Clashes, so be sure to play as many games as you can for your club and keep your eyes on the leaderboard.